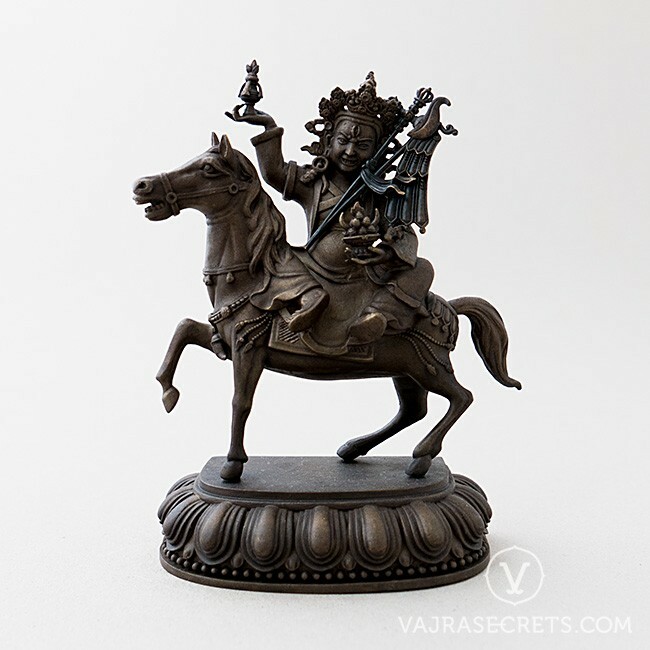 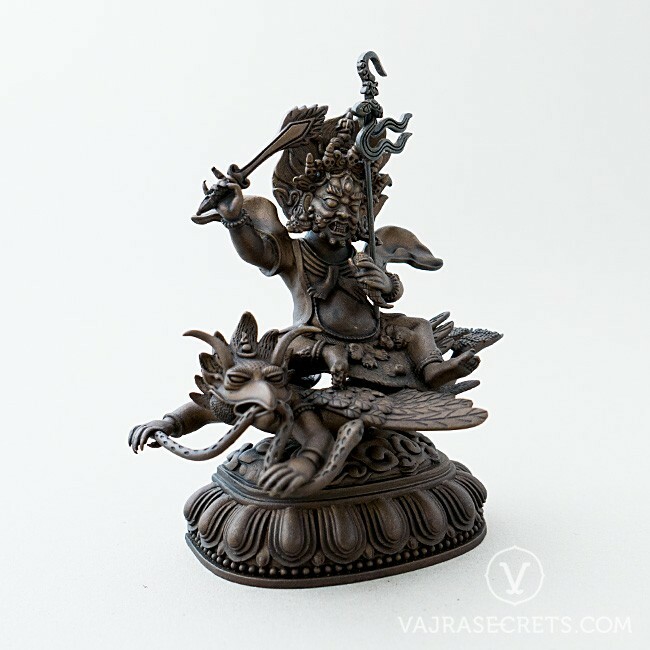 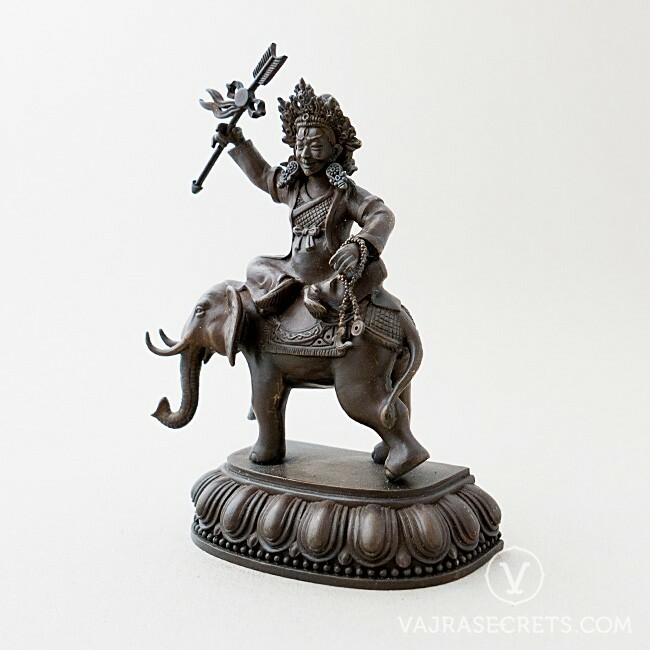 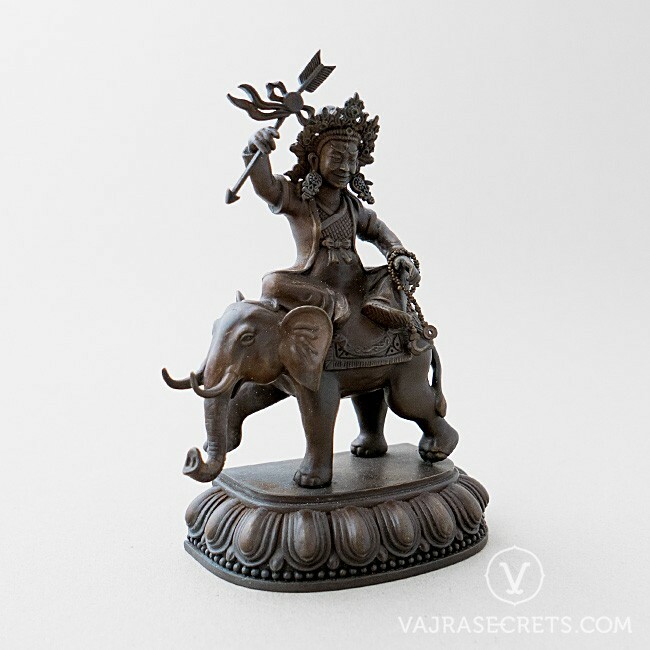 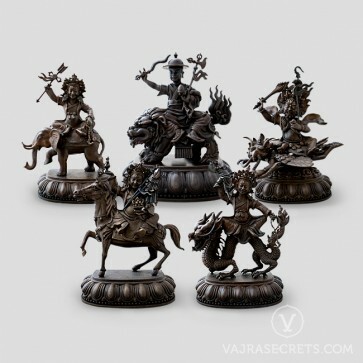 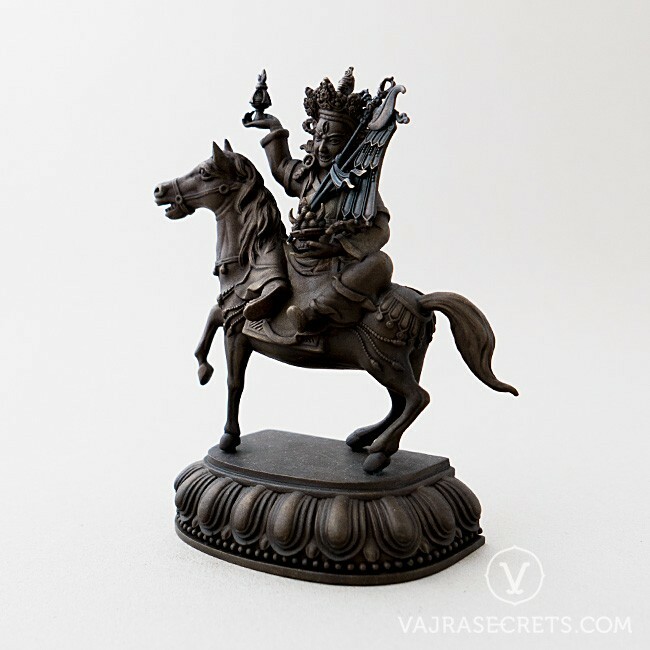 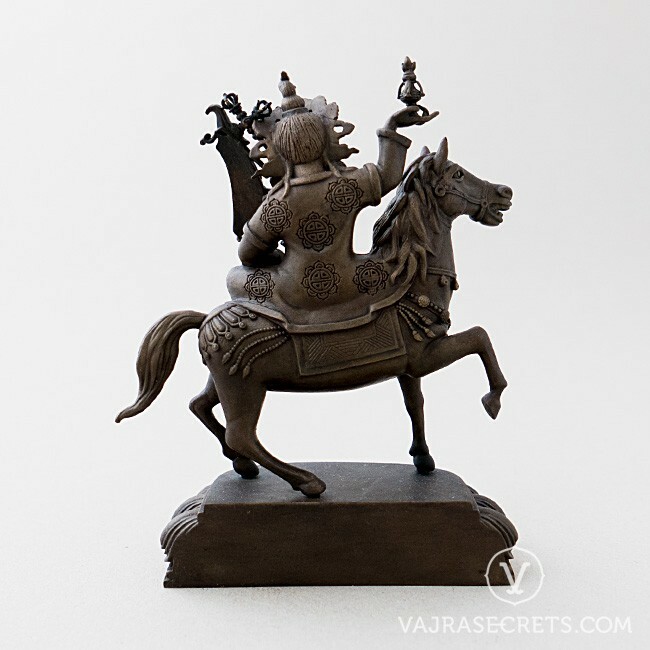 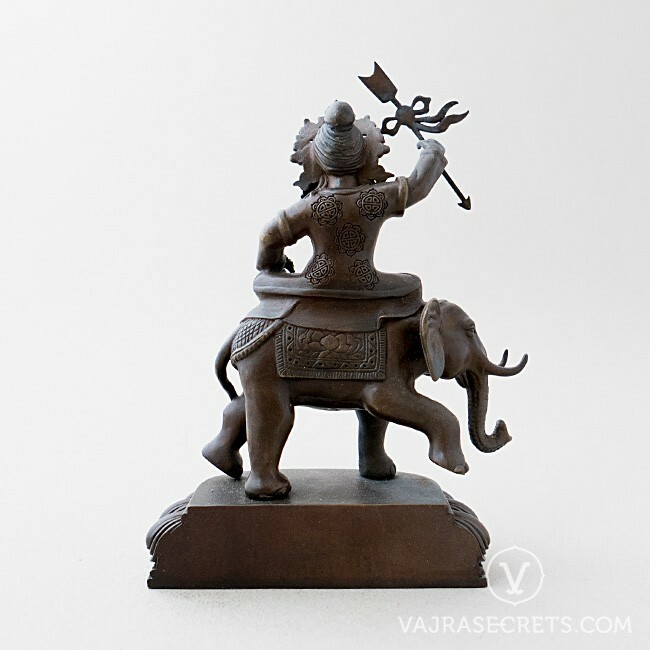 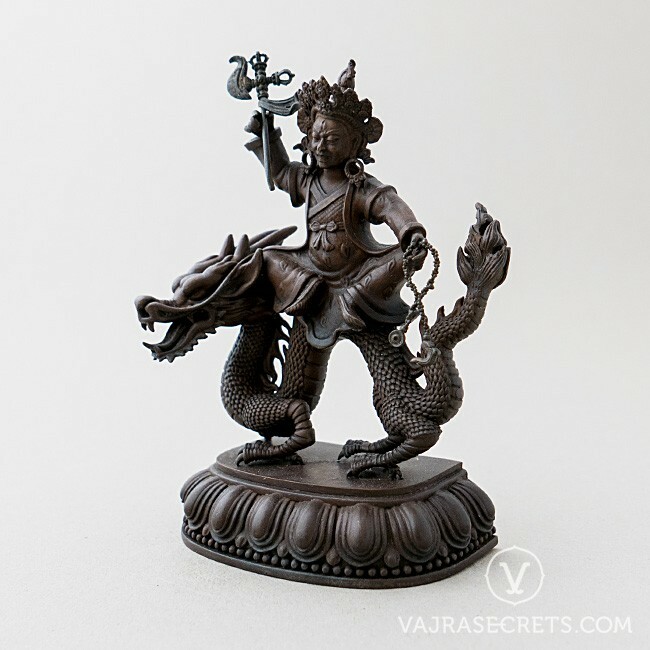 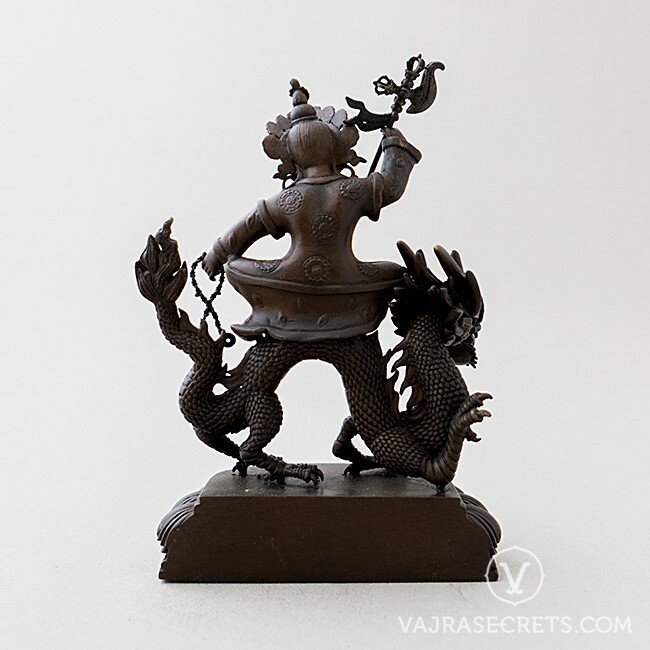 Invite the blessings of the five families of Dorje Shugden into your life with this exclusive set of five brass statues. 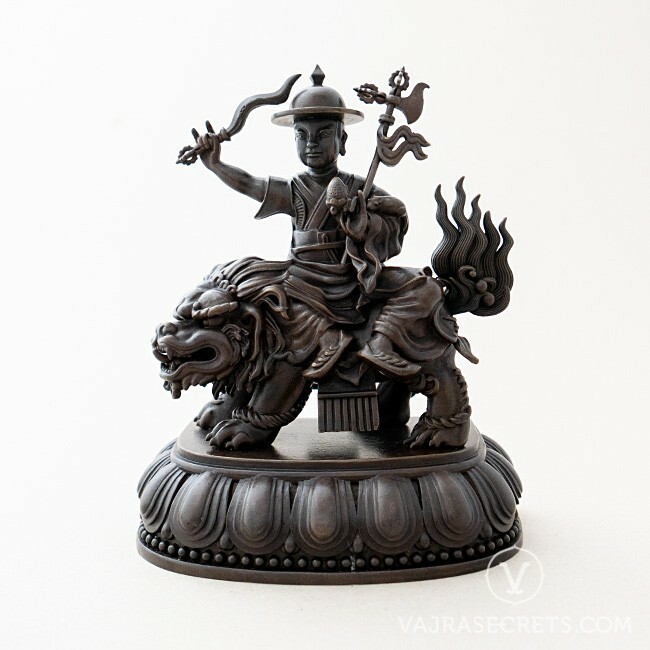 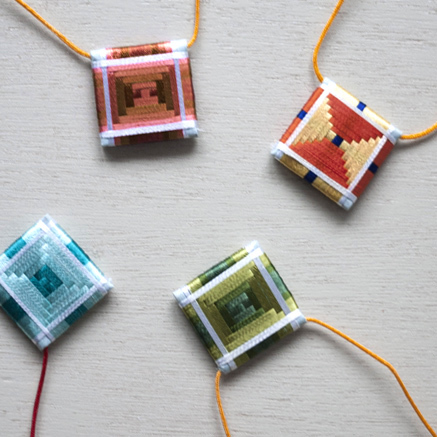 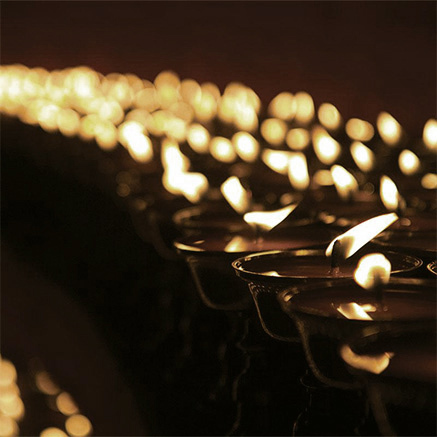 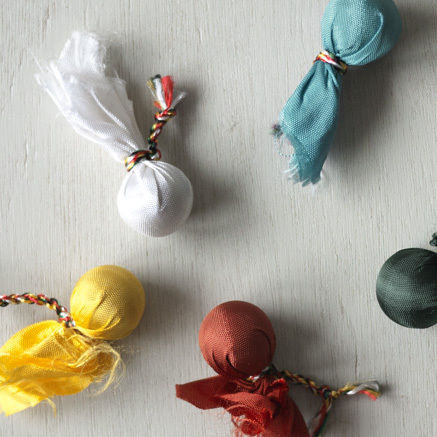 The five forms of Dorje Shugden represent the different types of enlightened activities and bestow the benefits of healing, abundance, control, protection and wisdom. 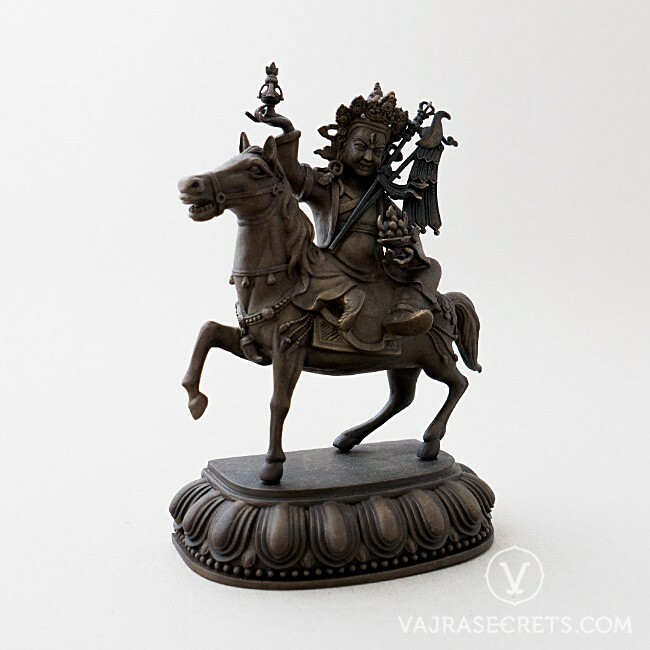 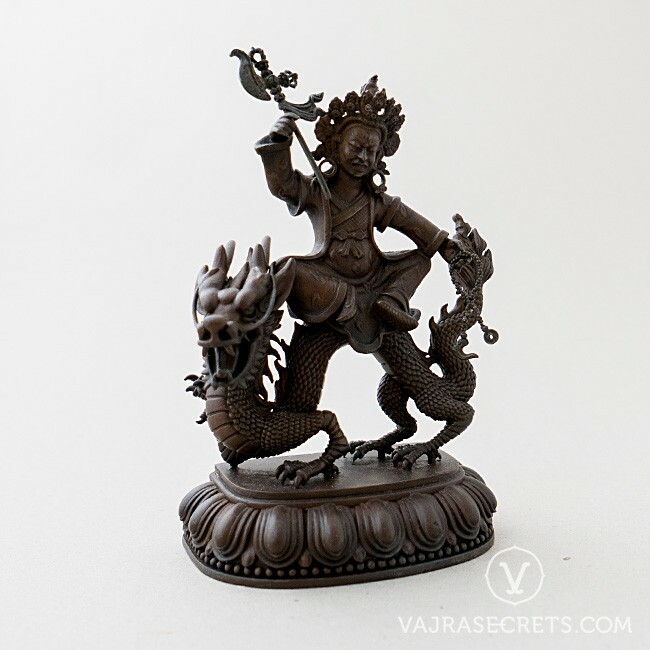 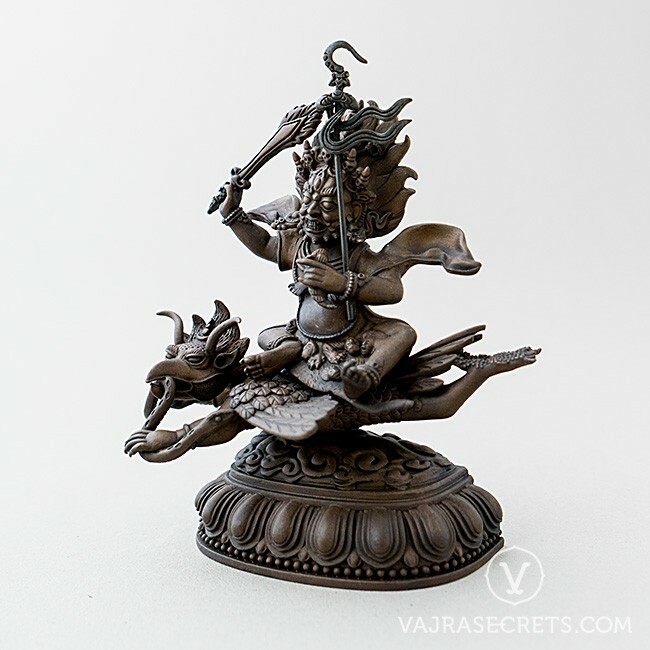 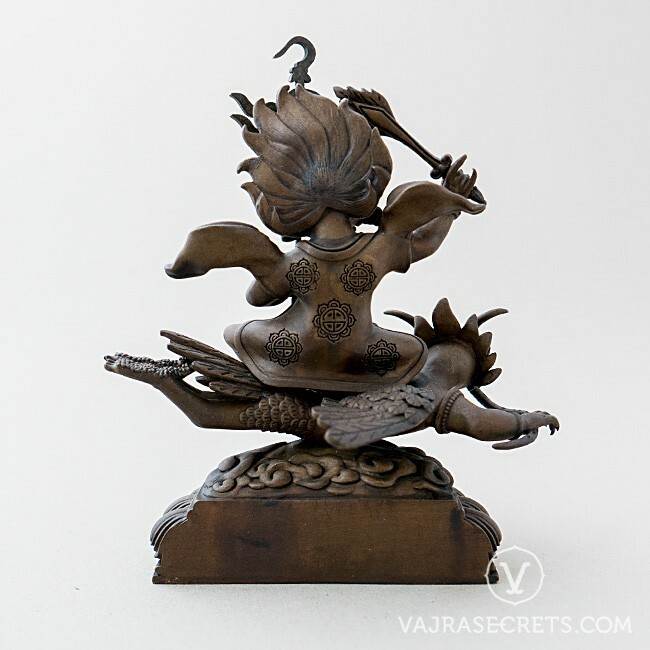 The Dharma Protector Dorje Shugden is the wrathful emanation of the Buddha of Wisdom, Manjushri. 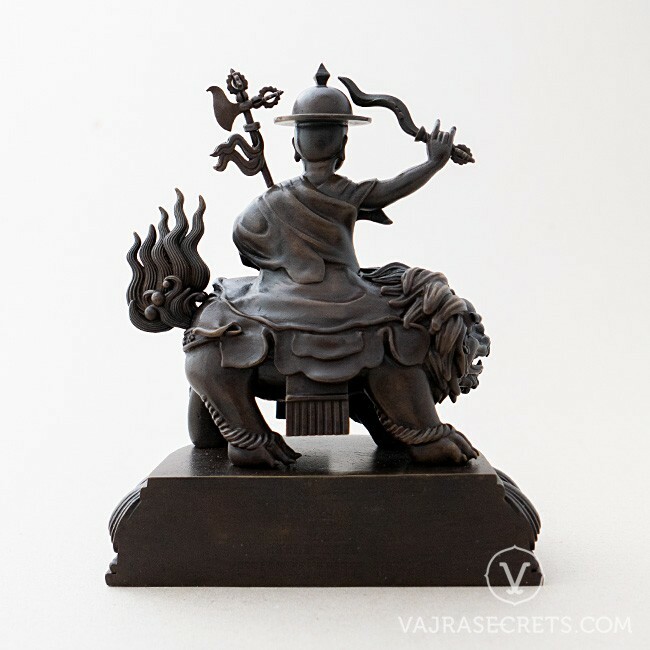 Fierce yet compassionate, he manifests in five different forms, each representing a different type of enlightened activity (pacification, increase, control, wrath and wisdom). This exclusive set of five brass statues features an oxidised finish and full iconographic detail according to traditional scriptural sources. 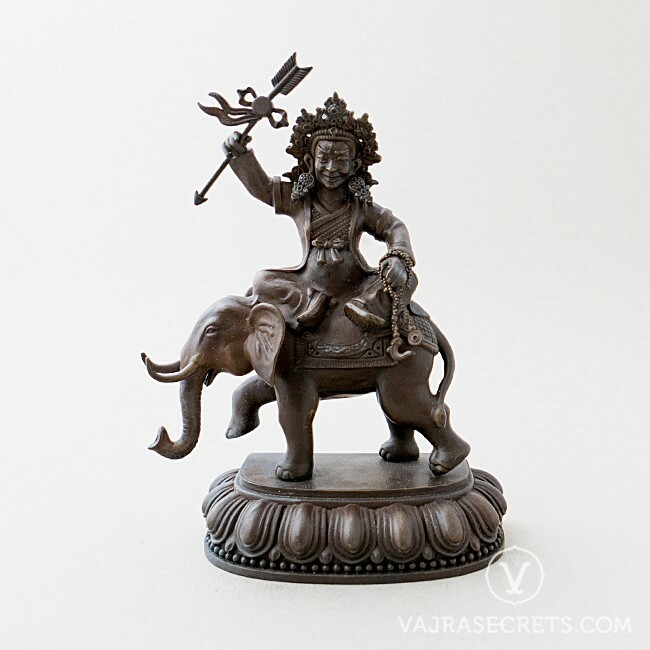 It is an excellent focal point and meditation aid for your daily practice, and bestows the benefits of healing, abundance, control, protection and wisdom. 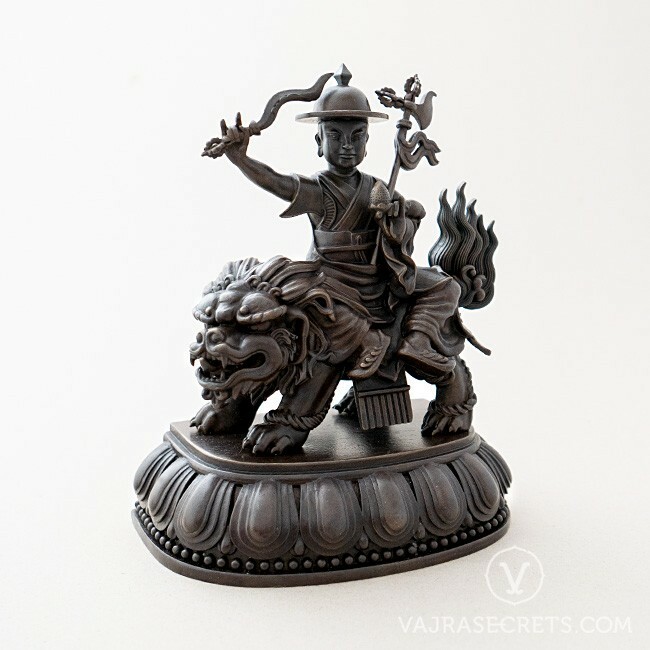 This "pacifying" form of Dorje Shugden is revered by many for his ability to purify negative karma, pacify natural disasters and calamities, and is especially efficacious for overcoming illness and disease. 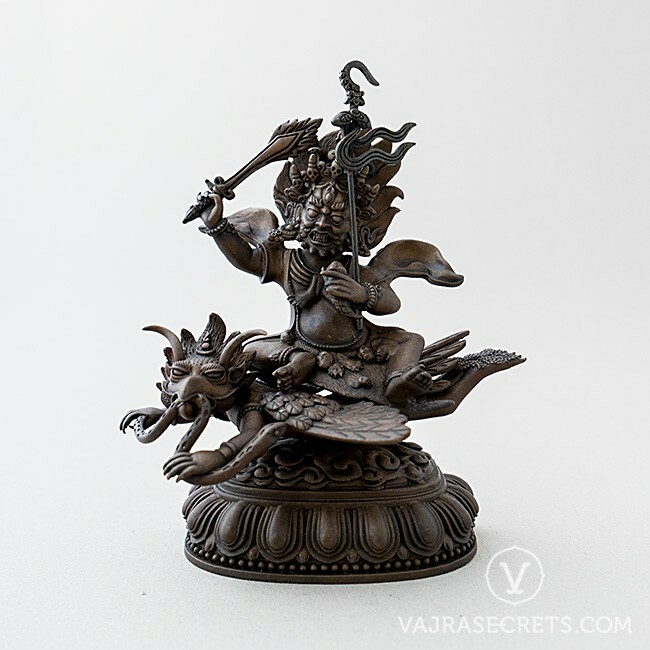 This "increasing" form of Dorje Shugden is revered by many for his ability to increase lifespan, material resources, merit, spiritual realisations, and all that is good. 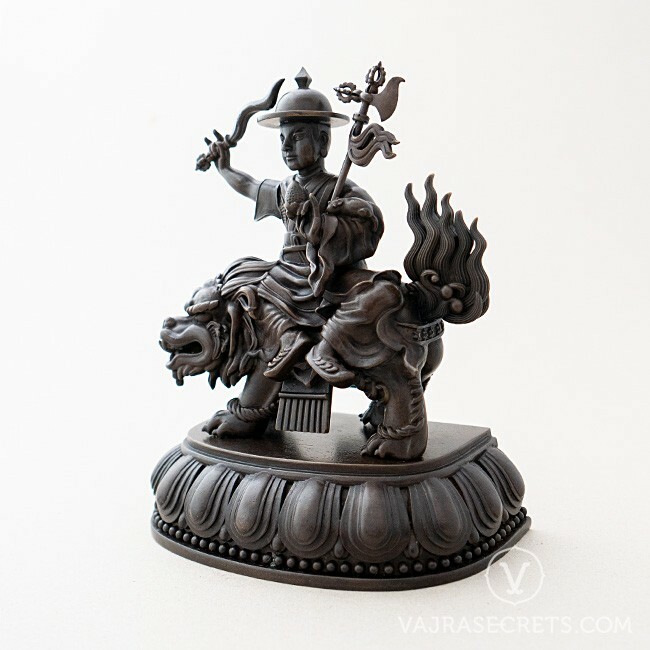 This "controlling" form of Dorje Shugden is revered by many for his ability to bring about peace and stability of mind and help tame very negative minds, people and situations for virtuous reasons.